Australia’s largest super fund, AustralianSuper, has made an industry-first move to stop automatically assigning new members under 25 with life insurance. In a bid to prevent account erosion and make the system fairer, AustralianSuper switched default insurance within super for young members from an ‘opt-out’ to an ‘opt-in’ basis. This means new AustralianSuper members under 25 that do not want to pay for death and total permanent disability insurance out of their retirement savings will no longer have to take the initiative to cancel the coverage. Rather, they can choose to opt-in to insurance cover if they want it. AustralianSuper’s Group Executive of Membership, Rose Kerlin, said the fund made the change following feedback about young members’ account balances being eroded by default insurance. “People under 25 starting out in the workforce need to begin building a base for their retirement savings,” Ms Kerlin said. “Given that they are often on relatively low incomes, the Fund does not want to see undue account erosion because of insurance that may actually be of very limited value to them. Ms Kerlin said life insurance is primarily of benefit to members with dependents or financial commitments – which people under 25 are unlikely to have. “With people getting married or having kids later in life we need to adjust our assumptions of what people need at various stages in their life,” she said. AustralianSuper’s move comes amid greater scrutiny of the role of insurance in the superannuation system. In July, the Government introduced its Superannuation Member Outcomes Package, which included a key initiative to make it easier for consumers to opt out of default life insurance. 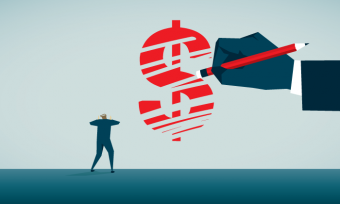 Also, the Insurance in Superannuation Working Group (ISWG) earlier this year reported that unnecessary insurance in super risks a “rapid erosion” of retirement savings. A Rice Warner study in December 2016 revealed having insurance in super can reduce retirement balances by as much as $600,000. By AustralianSuper’s figures, a member joining the fund at age 15 will save $637 at current prices by not having insurance within their super till age 25, which will increase that member’s retirement balance by almost $9,000 ($1,600 in today’s dollars) for retirement at 65. Is Your Super Being Eroded By Insurance?